Wannabe top of the charts? 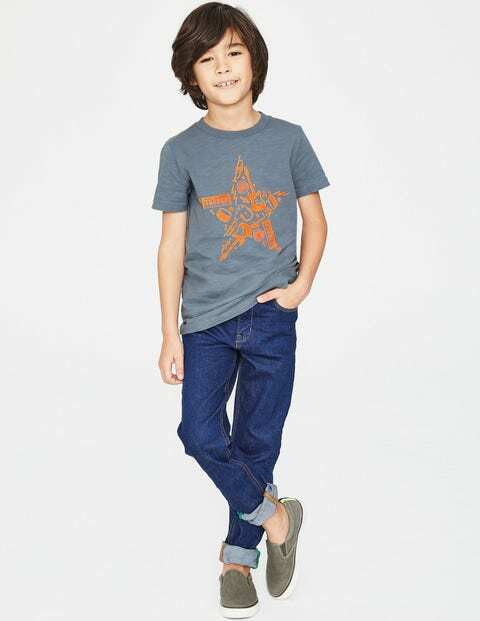 Mini rockers can kickstart their career with this music-inspired T-shirt. Made from supersoft cotton jersey, it's easy to move around in while practising for gigs in the garden. The contrast-colour-printed motif will show up under the stage (or as it's better known, the living room) lights too.